This month was great with a significant boost in exchange listings of Aeron. Four major exchanges listed the token, including the leading Korean exchange Bithumb (Top3 globally by trading volume reported at CoinMarketCap). 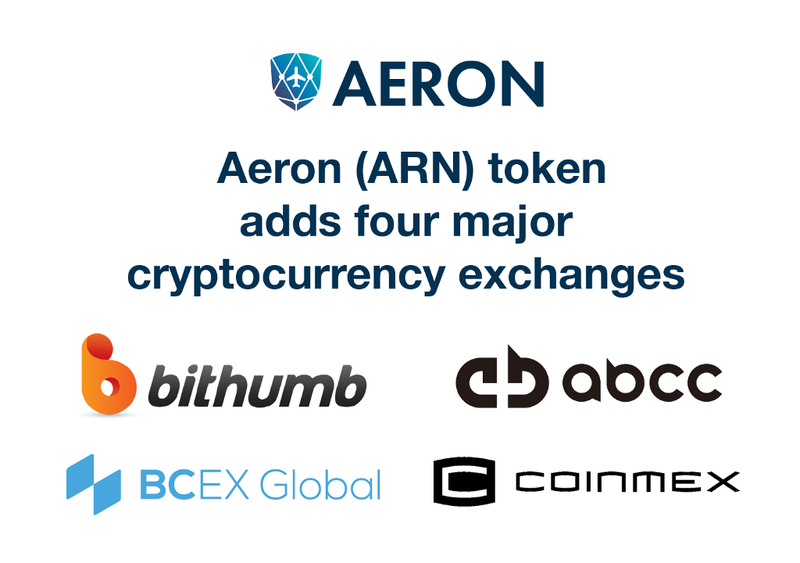 The new listings offer additional liquidity to Aeron (ARN) token holders and expand the global recognition of Aeron. At that, Aeron (ARN) ERC20 token is trading at over 20 exchanges with truly global coverage. Complete list can be seen at https://aeron.aero with relevant links. We are further pleased to announce the upcoming beta launch of CryptoBonusMiles (CBM) sub-project web platform. It will be opened for customer sign-ups in the coming week. We will inform Aeron community of the ongoing developments.